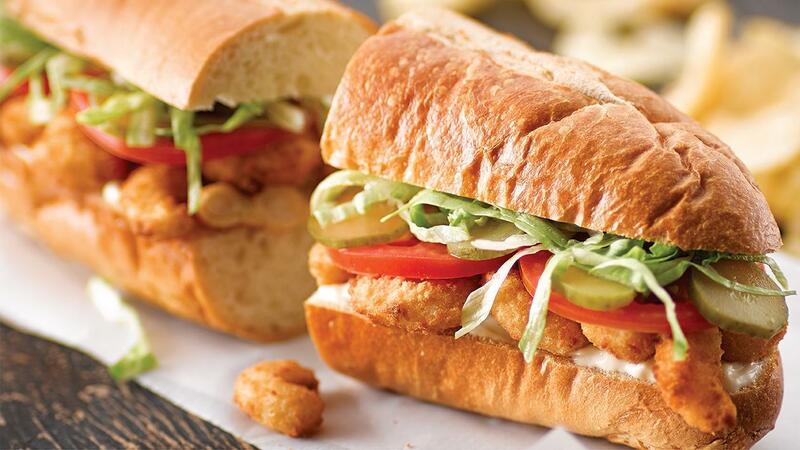 A Po' Boy is a traditional sandwich from Louisiana. It almost always consists of meat, which is usuall sloppy roast beef or fried seafood that includes shrimp, crawfish, oysters or crab. The meat is served on baguette-like New Orleans French bread, known for its crisp crust and fluffy center. See our take on the recipe below. Build sandwich and serve immediately.